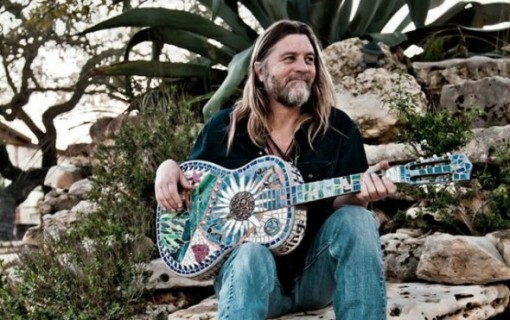 Walt Wilkins is the unofficial modern poet laureate of Texas. The late Steve Fromholz held the official title most recently, and Wilkins definitely blazes his own, unique Lone Star path. As often described by Hogleg, attending a Walt Wilkins show is akin to worshiping at a church that has cold beer. Even at its most outer surfaces, Wilkins’ music is filled with a spirituality few can match. Wilkins is a singer, songwriter, guitarist, producer, mentor and perhaps greatest of all a collective conscience for our music scene. One would struggle to find someone who has influenced and impacted modern Texas Music more than Walt. On the GF14 bill alone, you will find nearly a dozen artists who have worked directly with Walt in some form or fashion. Walt played Greenfest 7 at Antone’s with his Mystiqueros and we’ve been attemping to to get him back every year since then, the timing just never worked out. Thank the Lord it worked out this year. Walt will be in the final set of Greenfest alongside two of his friends, collaborators and proteges, Josh Grider and Drew Kennedy. It will be special, and you will feel something stir deep inside your soul. Join us and Reverend Walter Wilkins at the Lone Star Float House Church of Texas Music on the banks of the Guadalupe. performed a wonderful task in this subject! Wow, amazing blog layout! How long have you been blogging for?you made blogging look easy. The overall look of your website is wonderful, as well as the content!